Page speed is important for a better user experience and also for SEO. 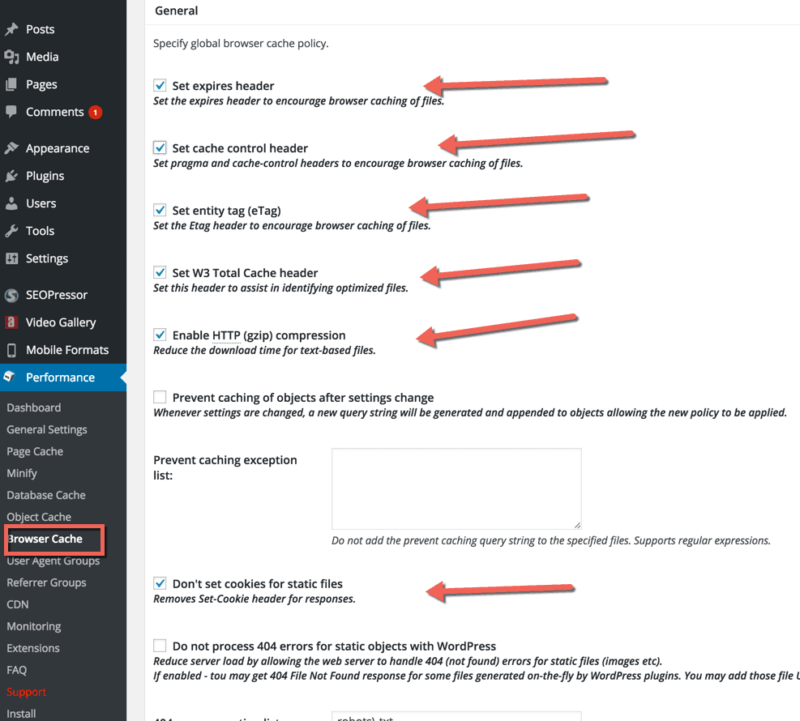 In WordPress, there are many cache plugins available. But out of all of them, WP Super Cache and W3 Total Cache (W3TC) are my favorite. The major difference between these two plugin is: Super cache is easy to configure where as W3TC has too many options & you need to configure extensively. I have heard a lot of good things about the W3 Total Cache plugin. It’s a lot like WP Super Cache, but with more options. In particular, if you are planning on using a CDN, the W3 Total Cache plugin is really great. To speed up loading time, I’m using MaxCDN on my blog network. To supplement this, I also tested out the W3 Total Cache plugin. This test was performed on my WordPress hosting blog. 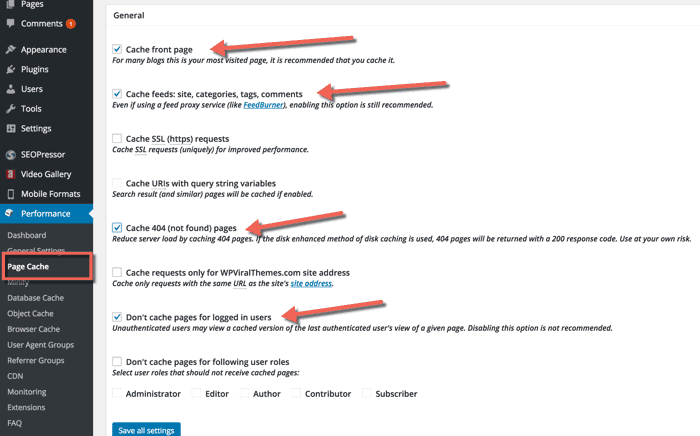 Search for “W3 Total Cache” from the “Add new plugin” section in the WordPress dashboard. Or you can download the plugin from here and manually upload it to your server. 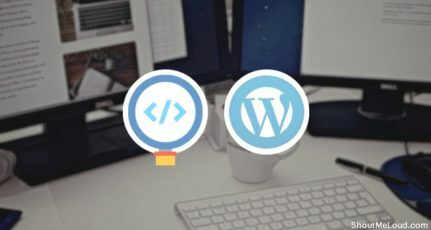 If you are new to WordPress, this guide will help you install a plugin: How To Install A WordPress Plugin. Note: Make sure to uninstall the WP Super Cache plugin or any other WordPress cache plugin. The setup options in W3 Total Cache are much more advanced than those in WP Super Cache. But don’t get confused! I’ll show you how I’ve set it up on my blog, and you can review and copy the settings for your own site. Once you have installed and activated W3 Total Cache, go to Performance > General and enable everything you want to cache. Later on, you can make changes to individual settings and fine tune your W3TC configuration. When you are done, click on “Save all settings”. After making changes, click on “Preview” to check if everything is OK. If everything looks good, click on “Deploy” to make these settings live. By default, all of the essential settings are checked. Review them, and move on to the next setting. All of the settings in “Minify” are also plug and play. But if you are not using a CDN, you might want to disable “Automatically upload modified files”. One cool thing about W3 Total Cache is the support for extensions. It offers extensions for a few popular WordPress plugins & themes such as Yoast SEO, Genesis, CloudFlare & Feedburner. At times, due to hosting compatibility issues or non-compatibility with other plugins, W3 Total Cache can act weird. In these instances, it’s important to uninstall W3 total cache to make sure it’s not creating issues. It’s also important to uninstall it correctly, or you will have even more issues in the future. sometimes, W3 Total Cache interacts strangely with another current plugin, and you might get weird issues like 404 errors or your entire blog might be redirected to Install.php. A possible solution to this problem is to uninstall W3 Total Cache. Here’s a quick tutorial on how you can remove the W3 Total Cache plugin manually. First, delete all cache and deactivate the W3 Total Cache plugin. Delete advanced-cache.php, db.php, wp-total-cache-config.php, and delete the entire w3tc folder from the Wp-content folder. Many options in this plugin are plug and play. If you follow this tutorial, you should have no problems setting it up. 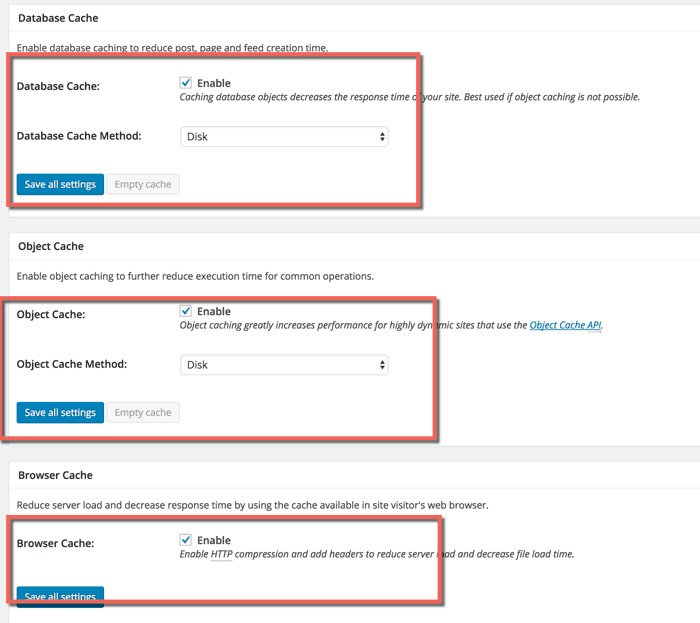 Using a cache plugin in addition to a CDN will help dramatically decrease the load time of your website. And a faster site means a better ranking and a better user experience. If you aren’t caching and using a CDN, you need to start doing that today. Do let us know: Which caching plugin are you using? Share your experience in the comments below! Nice sharing. W3 total cache is an excellent WordPress plugin. 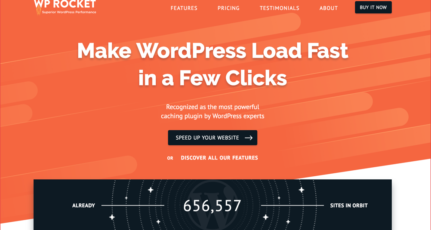 Most of the WordPress users use this cache plugin. I have some confusion about this plugin but after reading your article, I am clear about this plugin. Now I know how to settings this plugin in my WordPress site. Thank you very much for sharing such a details article. which is best CDN Max CDN or Cloudflare CDN?? On first instance everything worked for me. Later when I installed Yoast SEO everything crashed! I then removed Yoast SEO reinstalled W3 Total Cache but all in vain. I don’t know which plugin should be the next to try for caching. Compatible with your version of WordPress but the theme is not available and this theme is not available on our system due to performance, security and compatibility concerns. Can you please let me know what I can do to install this. I get the same message for even the superfast cache theme. At the current moment, I am using gator cache. What do you think about this? Can you share a screenshot of the warning? The theme I am using is volt magazine. I can’t attach the screen shot here. I will email you it. 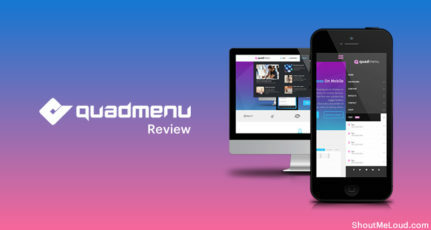 Since it’s a premium theme from Themeforest, you can contact their support for this issue. Hi, nice article here, pls can someone help out, my host has w3 total cache fork installed which works fine, but it has been adding some additional querys to my site links.. But as it stands, I need a caching plugin to avoid resources being used. Any helo from u all, cc HARSH AGRAWAL and others help.. Thanks for sharing this post really helpful. Harsh,when you start blogging how much time it take to make reach 1000 visits /day. Excellent Harsh. I really follow your tips. I had bought a book from you is about Affiliate Marketing. The book is good writing but I didn’t understand much more in that. Can you simplify it for better understanding? Thanks for posting these type of better content and helping people. Hello Harsh! I am following your blog since long now and trust have learnt a lot. Thanks. I need a little bit of help – Mine is a startup site, but have started with Cloud VPS Server with Data Centre located in Mumbai, India. 2.80*4 CPU and 8GB Ram is the part of Server Configuration. For better Site Security and Performance what should i use – Cloudflare (If cloudflare then free or paid plan) or Sucuri, W3Total Cache, WP Super Cache, Varnish Cache or Some other plugin/software. If average security (Still great) is ok, then use Cloudflare + any cache plugin. Varnish is server level cache & if you can configure it (Take care of cache flushing)..
Just wanted to ask you, is it okay to use Autoptimize along with W3 Total Cache? I’ve read somewhere that both these plugins should not be used together. You can use them together. I use them on my blog and it has helped boost my pagespeed to 99/100. Just ensure that you turn of minify in W3 total cache. Only use Autoptimize to minify resources. Nice blog, I have a query regarding object cache. 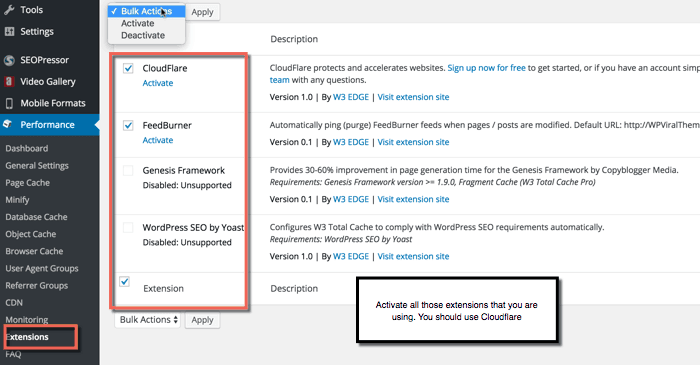 If you enable them I have seen it slows down the admin panel of WordPress drastically. Don’t you think that option needs to be configured on a situation basis? Yah! Even I have seen some issue with Object caching but it helps speed up front end by great extent. You can disable it when you are working in the dashboard, else you can keep it enabled. 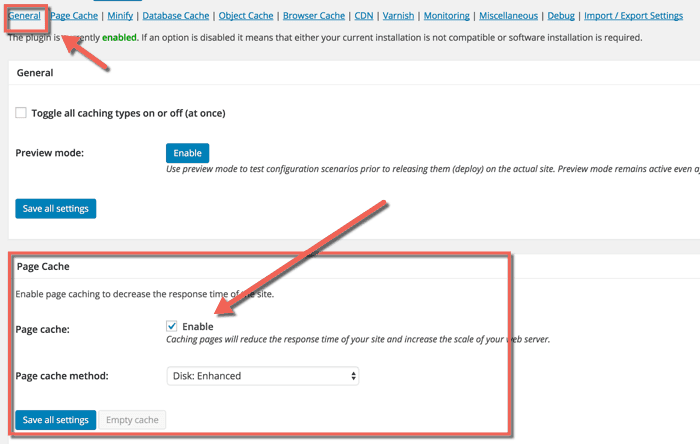 Thanks Harsh for details about this caching plugin. I started using this plugin for my website. Thanks. thudnews.com is currently unable to handle this request. Thanks, Author for this setup article. I was on a dive setting up W3 Total Cache plugin but self-tweaks proned into errors. Thanks for sharing this researchful article which helped my site run faster under proper caching settings.